I have a love-hate relationship with chocolate. More love than hate of course. But after scoffing down too much chocolate, that’s when the hate sets in. But it doesn’t last for long. My love for it is overpowering. 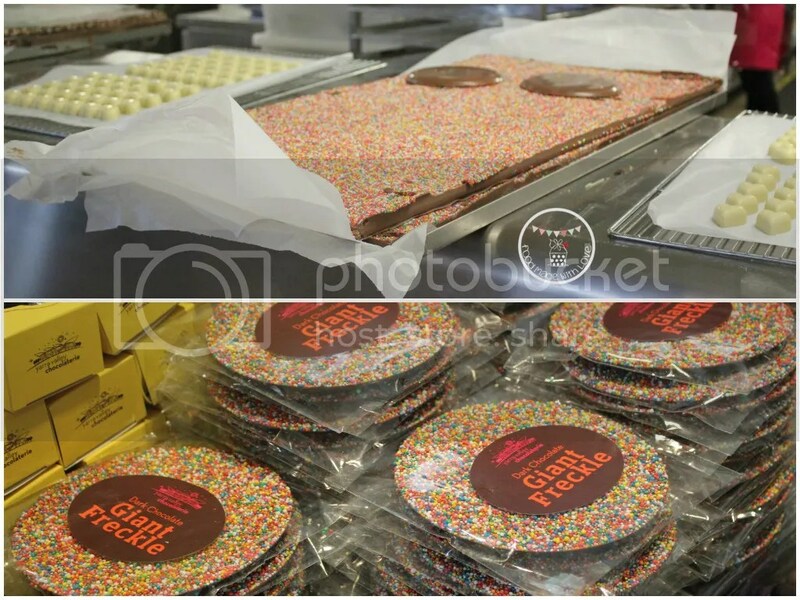 haha So you can imagine my face when I walked through the glass doors of the Yarra Valley Chocolaterie! Yeap! You guessed it right! Wide grins, round eyes and I marched straight to the huge bowls of chocolate that are for free tasting. How generous! But just so I don’t look greedy, I just took a (heap) tablespoon full of the dark chocolate buttons and stepped away. 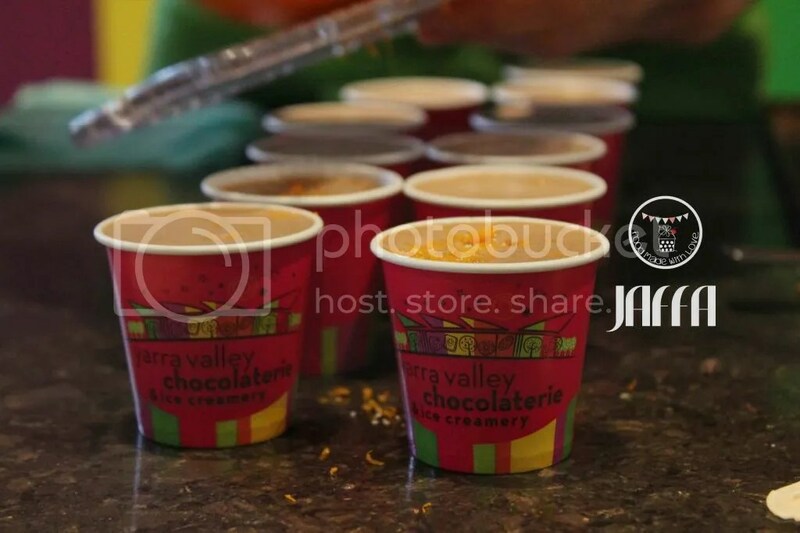 It wasn’t my first time at the chocolaterie, but this time I was really lucky to be asked to the Hot Chocolate Festival by Yarra Valley Chocolaterie & Q Strategies to try 8 out of the 31 limited edition flavours they’ve come up with for the month of August! I went with the blogging gang (Shellie, Daisy, Thanh, Agnes & I-Hua) and we were allowed to bring our partners (and Melissa!) along, so it was like a fun road trip with a whole huge foodie gang! These were the 7 + 1 flavours we tried that morning. Yes, we had hot chocolates for breakfast! hehe What could be better yes? 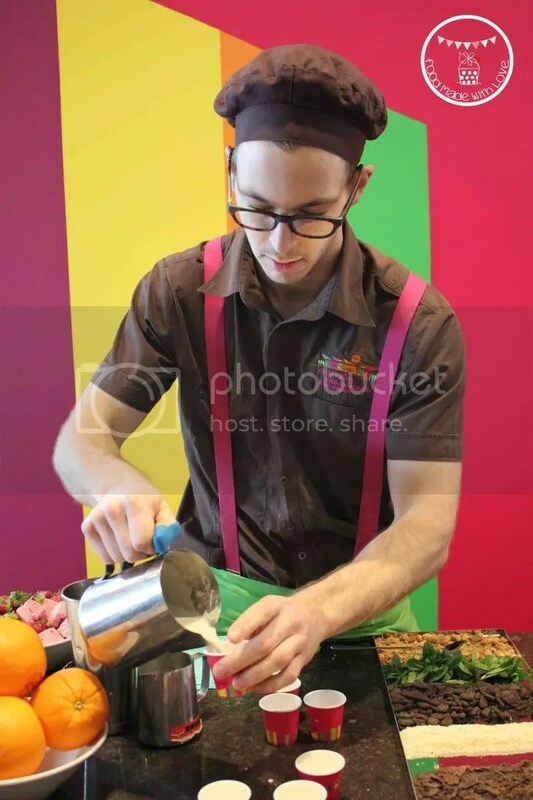 We were introduced to Josh, the head barista at the chocolaterie. He’s the one who comes up with all the different flavours! Amazing! From the moment we gathered infront of him, pots and pots of hot chocolate arrived and were served! 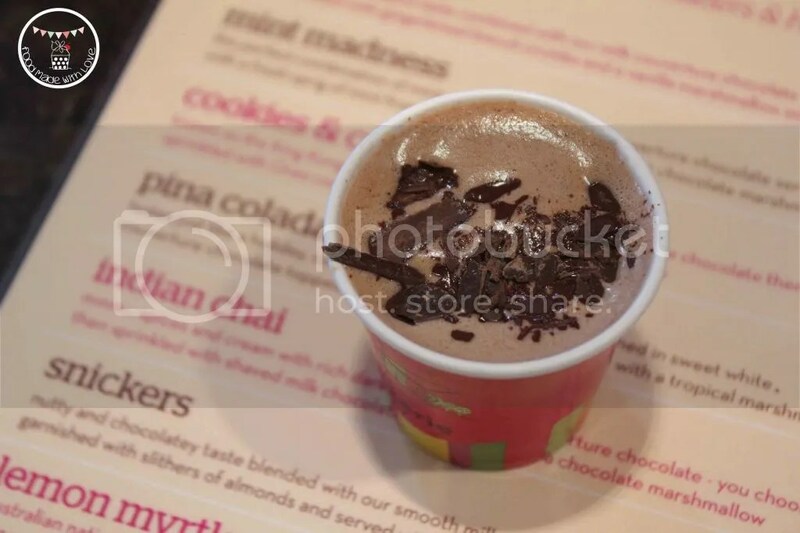 We were definitely in hot chocolate heaven! 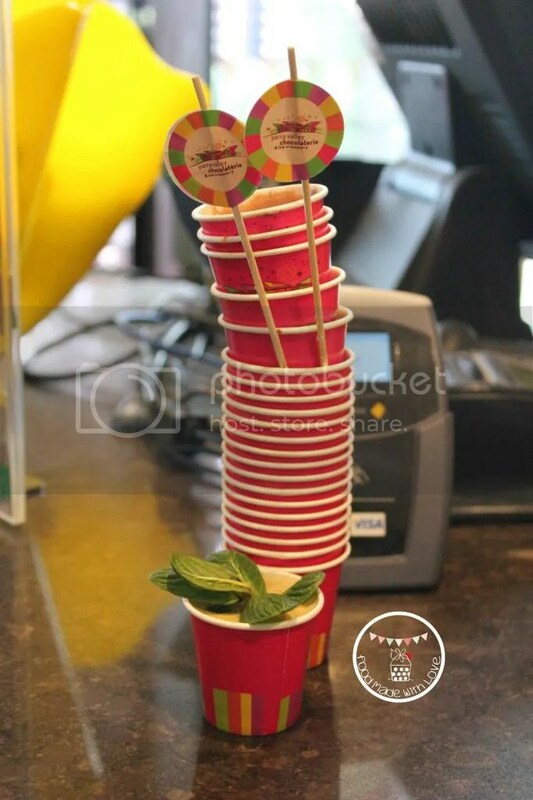 Each cup (thank goodness they were mini ones!) had a different topping to match the flavours! 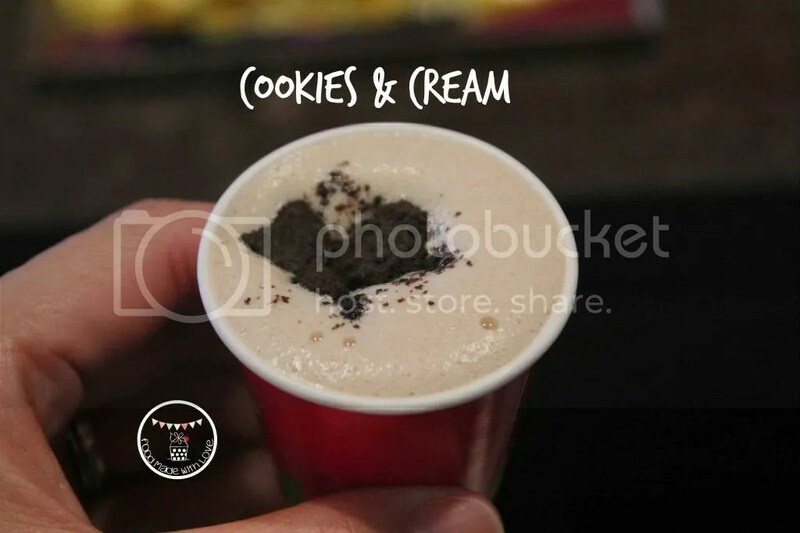 So without further ado, here comes the hot chocolates! I’m introducing them in the order that we were having them! Of course, I have my top three choices of the morning and you’ll see them next to their flavours! hehe So, first up…. Gingerbread (2nd place)! This was made using their milk couverture chocolate and had quite a strong cinnamon and ginger taste to it, which I love! 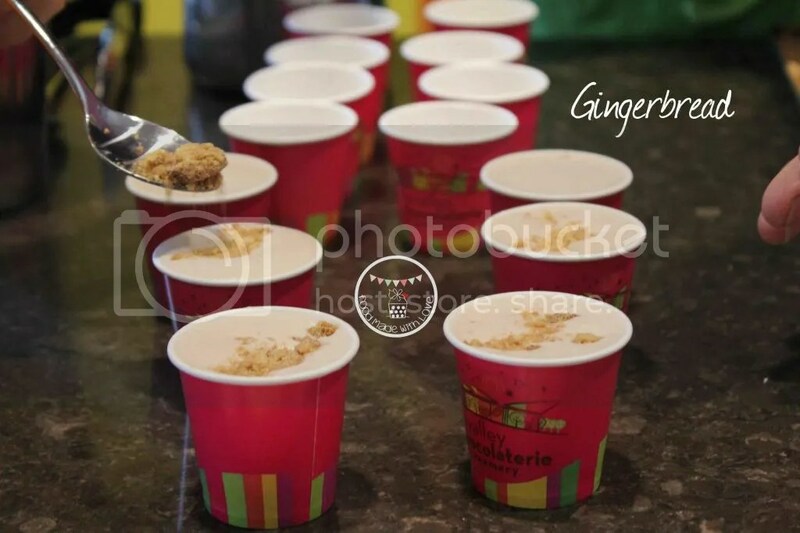 It was served with some gingerbread crumbs which gave a slight crunch to the drink. Cookies & cream was somehow known as the King Kong of all flavours made with smooth milk chocolate and topped with crushed oreo cookies! This was delicious but it kinda of tasted like normal hot chocolate, and nothing too special. Though the crunch of the cookies added a good texture! I’ve been into coconut everything these days, so I was quite excited when I saw Pina Colada (3rd place) on the tasting menu! It had a strong coconutty flavour made with white chocolate and topped with toasted coconut! DELISH! hehe It was quite a favourite among us that day to be honest! 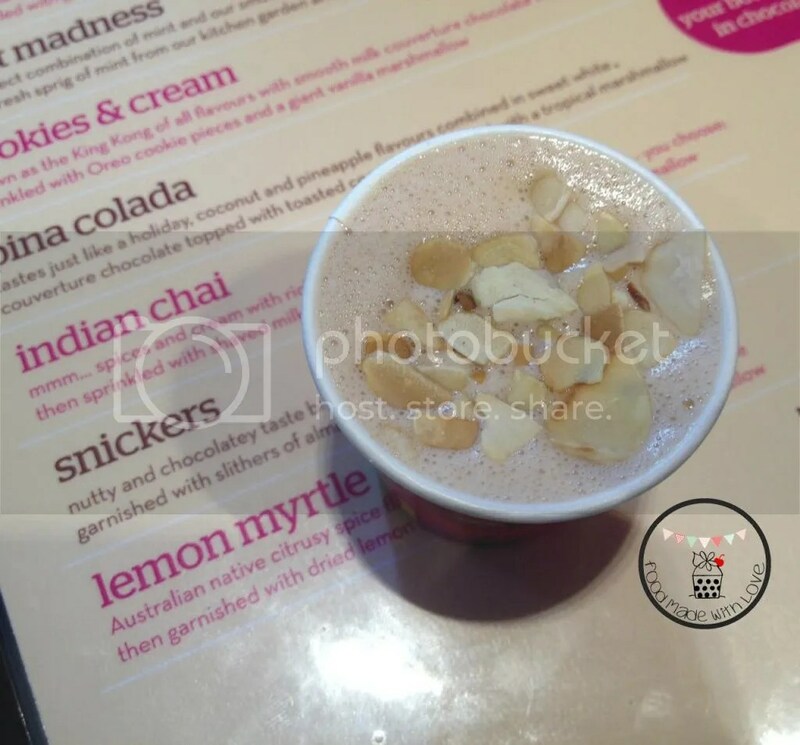 When the next flavour was indian chai, Shellie and I were smiling at each other, as we both love our chai! Unfortunately, the dark chocolate was a little overwhelming and I couldn’t really taste the chai spices. Sad face! I really thought this would make number 1 on my list! This, ladies and gentlemen, is SNICKERS! The champion of the day! It was so delicious, and it really felt like you were having a snickers bar. It was nutty and chocolatey. Everything a hot cup of hot chocolate needs! 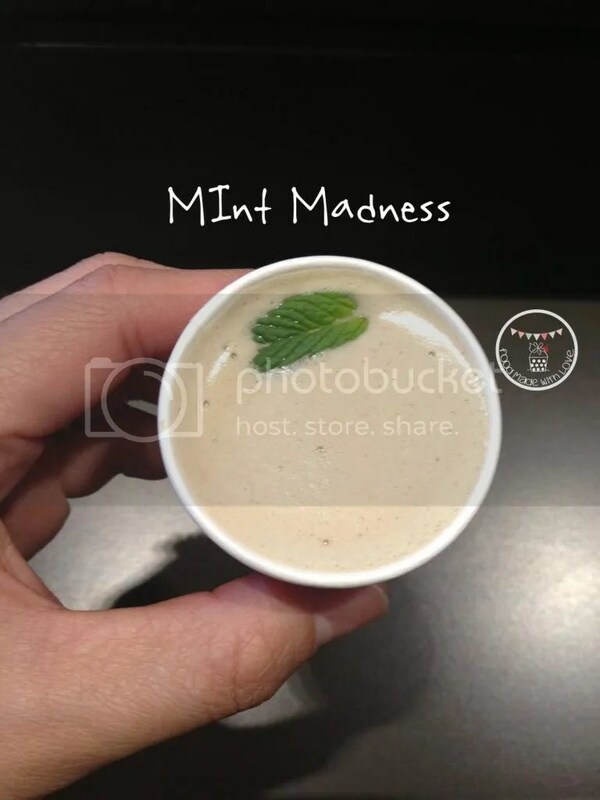 Topped with roasted slithers of almond – A perfect cup! I secretly wanted another cup! haha But had to safe some space for the two more to come! If you’re a fan of lemony and citrusy drinks, this would be the one for you! 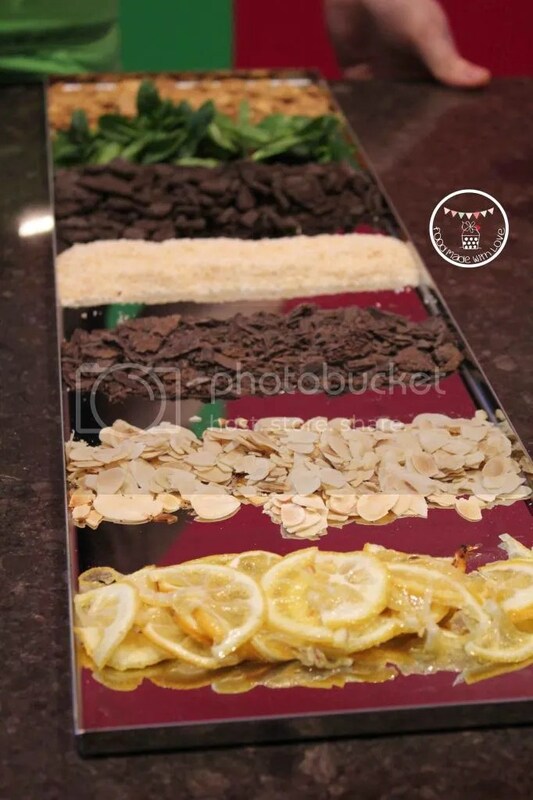 I never thought that lemon would go well with chocolate. 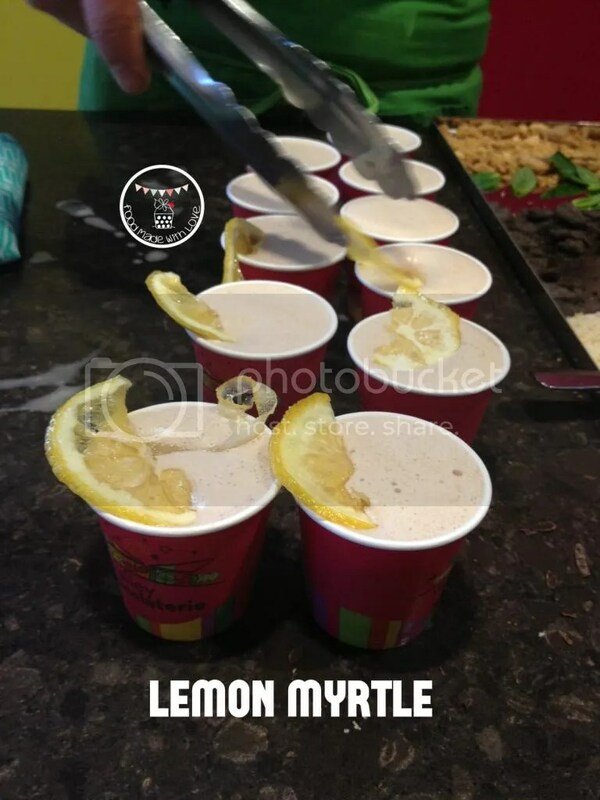 But after drinking this, your mouth is left with a subtle taste of lemon, kinda refreshing! 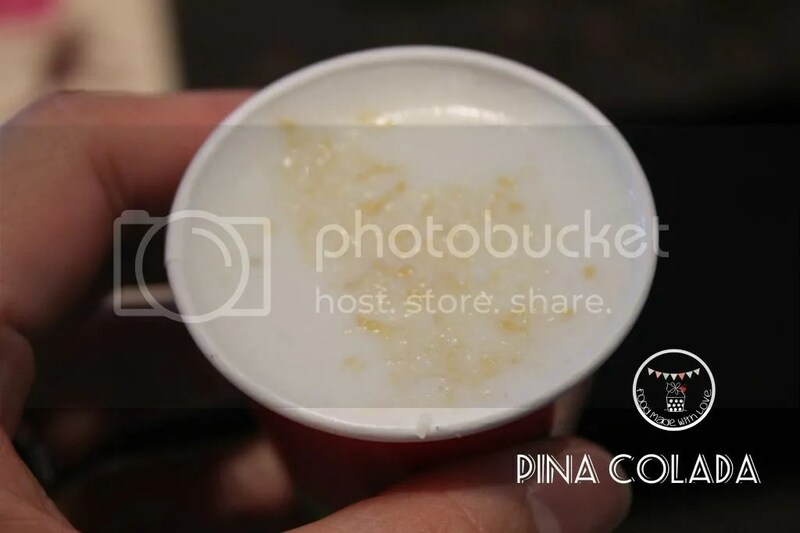 Each cup is topped with a candied slice of lemon. Our last cup for the morning was Jaffa. It was a special addition to the tasting menu we had! Before we could taste it, Josh grated some orange zest and the aroma of oranges just filled the air! After the private tasting session, we walked around the chocolaterie and it was like being in Charlie and the Chocolate Factory! 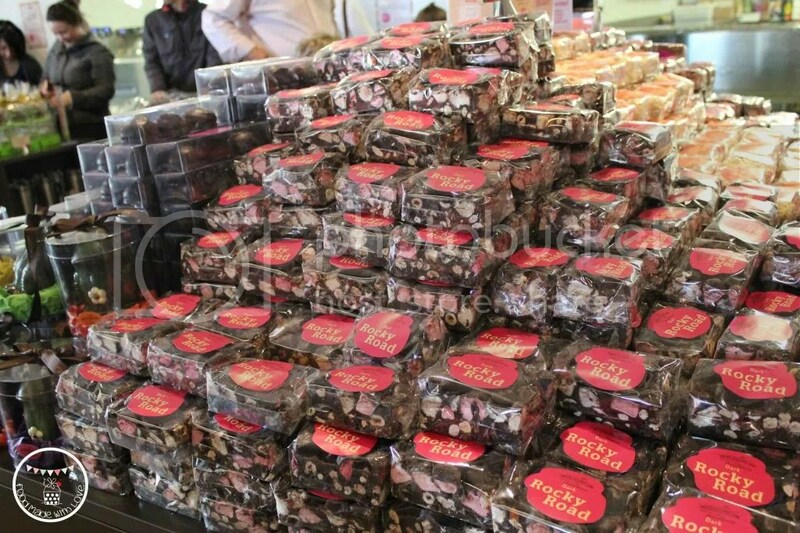 Every where you walked to, you would see chocolate of all kinds! 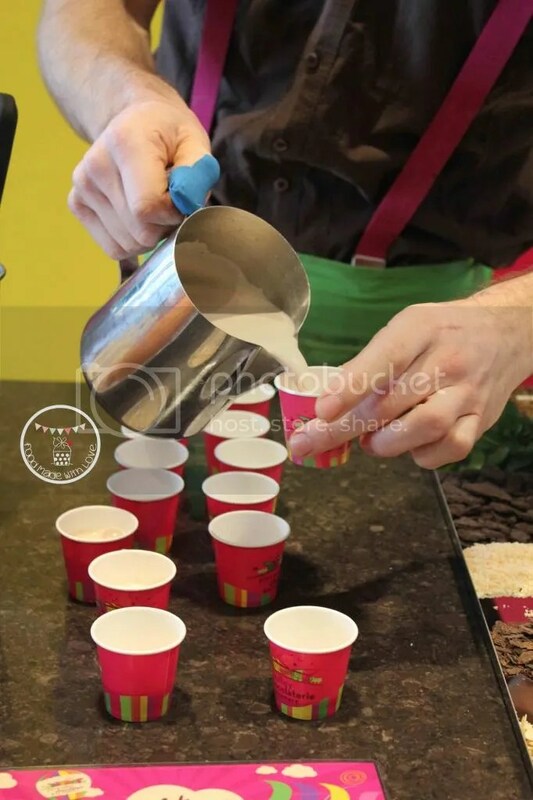 So do go and visit the chocolaterie before the end of August and taste all the different flavours of hot chocolate they have to offer and hit a sugar high! (: You’ll definitely enjoy it as much as we did! 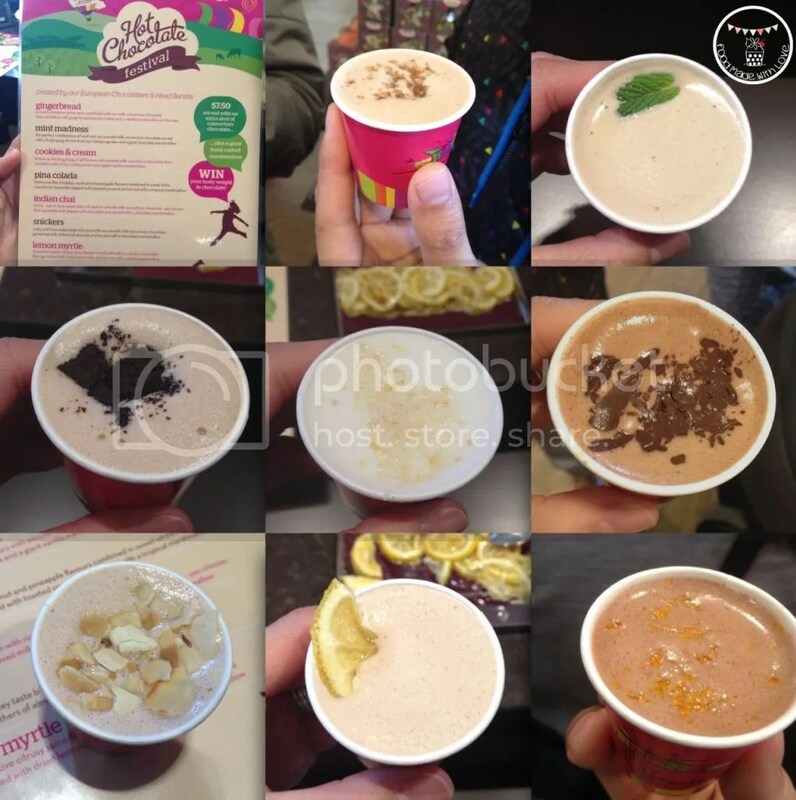 So what flavour of hot chocolate would you love to try? I really want to try the popcorn flavour that’s coming up next week! hehe What are you waiting for? Head over there asap! 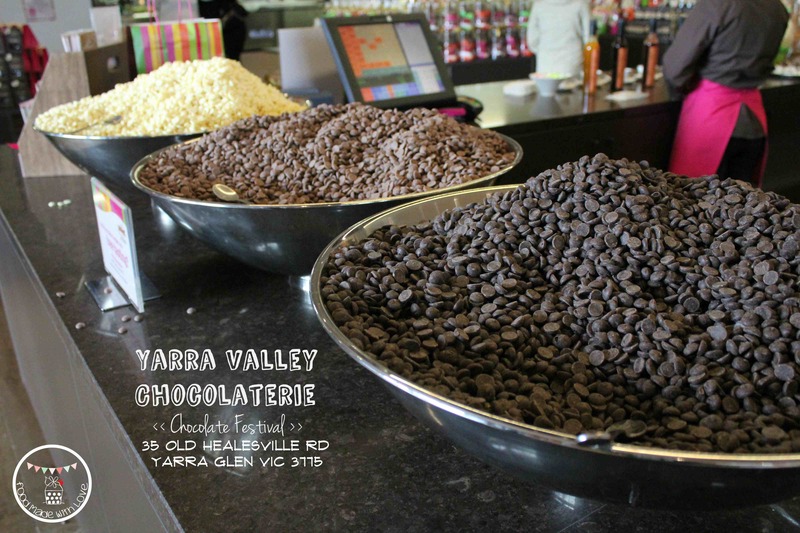 Lianne @ Food Made With Love attended the hot chocolate festival as a guest of the Yarra Valley Chocolaterie and Q Strategies. Thank you so much for this yummy opportunity! 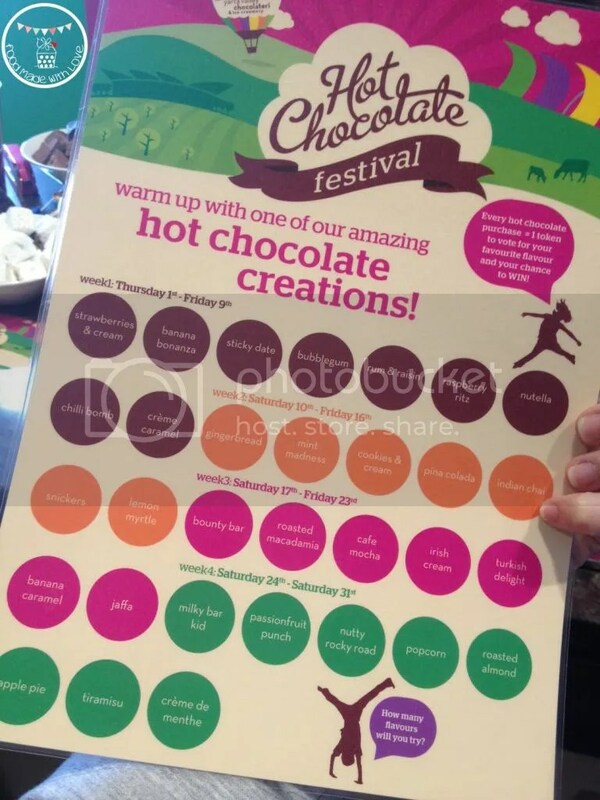 if only sydney had a hot choc festival too! Yermmmmm… I wanna go back for more! hehe I want more snickersssss!